Endoskeleton is a skeleton with red eyes armed with a minigun and carrying evil and destruction. It will not stop at anything, its purpose is to destroy the whole world together with living beings. 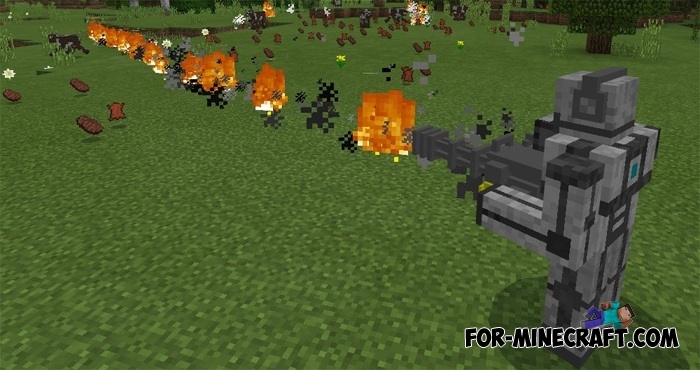 Prepare to run away as his minigun is able to kill even the strongest mobs, so do not leave your home without protection. There are many different types of Endoskeletons, but so far the addon contains only one. This cyborg does not have much health, but its power lies in its weapons and the ability to turn sharply. It reacts to everything that moves next to it, which means that all mobs will be in danger. How to install the Endoskeleton addon? Download the .mcaddon file and open it using the game.